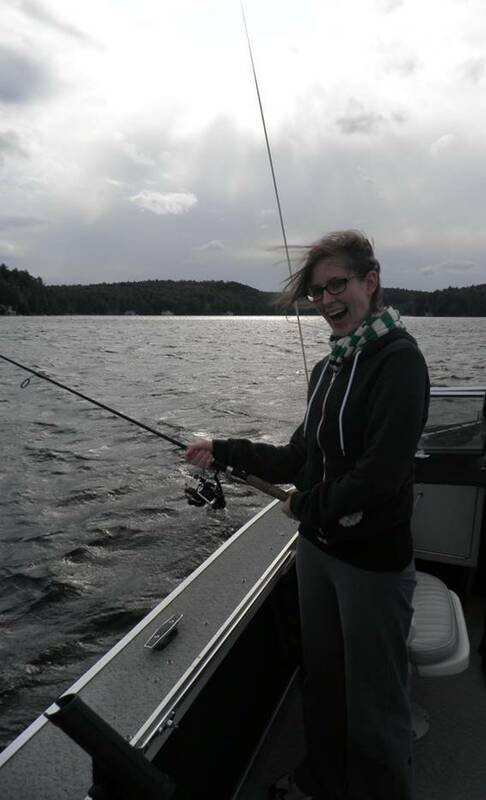 Would you believe us if we told you that some doctors prescribe “time outside” to their patients? This Earth Day, do our planet—and yourself—a favour, and spend some time in the great outdoors. Spring has finally sprung! With the longer days and warmer weather, most of us are likely eager to end our months-long winter hibernation. An appreciation of nature comes easily at this time of year, especially as Earth Day (April 22) approaches. Earth Day is the perfect time for us to take a break from our busy lives and really appreciate our natural surroundings. It is also a reminder of our responsibility to preserve and protect the planet. The natural world provides us with so many benefits, not the least of which is a home for spectacularly beautiful and fascinating creatures (including humans!). Sometimes we need to be reminded of these benefits to realize what we could be missing if we don’t keep up our conservation efforts. In her blog The BioPhiles, Marie Davey recently wrote about how people (particularly children) have become disengaged from nature. We certainly both remember spending our childhood summer days outdoors—climbing trees, swimming in lakes, chasing butterflies, catching salamanders and tadpoles in the local pond…the list of adventures is endless! But studies have shown that fewer and fewer children have access to these sorts of experiences. Davey argues that we should be concerned about this lack of connection with nature in children because experiencing nature as a child can encourage pro-environmental values and behaviours. In short, encouraging young people to get out and have fun in the mud could lead to long lasting benefits for our planet. If this isn’t enough of a reason to get outside, there are some other pretty surprising ways nature can benefit us, too! 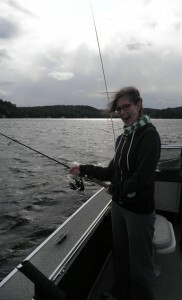 Joelle tries her hand at fishing on Lake Rosseau, Ontario. Photo credit: Joelle Thorpe. Studies show that individuals who live near greenspaces or have outdoor hobbies such as gardening are more physically active. Perhaps having beautiful green parks nearby motivates people to get outside and go for a walk. One study in Toronto used a combination of questionnaires, health data, and satellite images of greenspace in different neighbourhoods to determine if there was any relationship between how healthy people are and how many trees were in their neighbourhood. Intriguingly, these researchers found that people living in neighbourhoods with more trees on their street felt healthier and had fewer cardio-metabolic health issues like diabetes, heart attacks, strokes, or obesity. There is evidence to suggest that these effects aren’t linked specifically to greenspace—others have shown that living near a coastline is also associated with better health. Being close to nature definitely has its perks, at least in part because it encourages physical activity, which promotes good physical health. But being in nature isn’t necessary to derive benefits from it—just looking at nature can promote physical health. In a fascinating study, researchers compared surgical patients who stayed in a hospital room that had a view of either deciduous trees or a brick wall. Patients with the view of the trees recovered faster after their surgery, and took fewer painkillers. More recently, doctors showed that patients report less pain during certain medical procedures if they were allowed to look at nature scenes and listen to nature tapes as a distraction. This seems to suggest that our brains, in addition to our bodies, respond to nature. 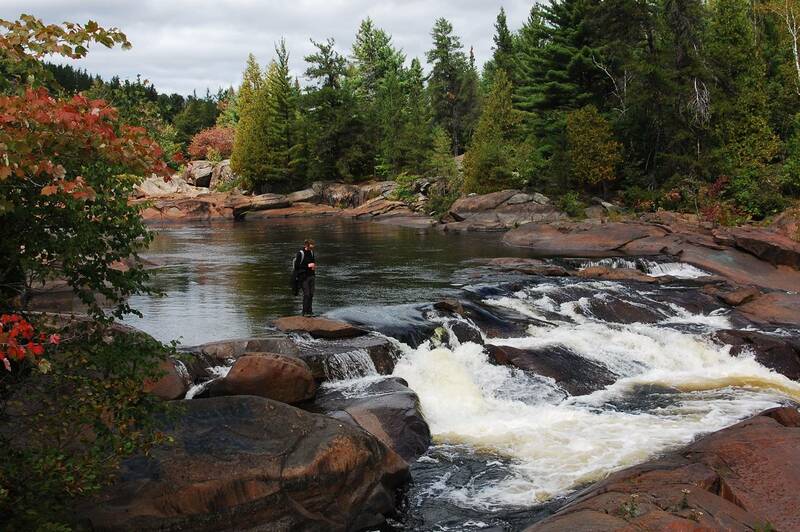 Wildlife technician, Pierre-Étienne Vachon finds solace by Onaping Falls. Photo credit: Catherine Lau. Our world is so full of distractions that our brains can get overloaded with information, leading to stress, anxiety, and a reduced ability to focus. In a post on his blog The Brain from Top to Bottom, Bruno Dubuc describes the feeling of calmness that washed over him one day when he managed to escape the city and all its distractions. Intuitively, it makes sense that we feel relaxed in the tranquil outdoors, in contrast to the hustle and bustle of the city. However, researchers are only starting to understand why we feel this way in nature and how it relates to our mental health. Using similar methods to the Toronto study, Dutch researchers discovered that people living near greenspace are also less likely to suffer from anxiety or depression. Seasonal variation in the prevalence of depression may also be related to lack of greenspace. In Canada, where the winter months are long, dark, cold, and anything but green, there are higher incidences of depression reported in December, January, and February than in June, July, and August. Other studies have delved into the brain and examined how it responds to nature. One group of scientists has shown that a 90-minute nature walk (but not a stroll through the city) reduces activity in a region of the brain that is active in depressed individuals when they dwell on negative emotions. Others have shown that when study participants look at pictures of urban scenes, they report more negative feelings like “suffocating”, and certain brain regions associated with fear, anger, and anxiety become active. On the other hand, when study subjects look at pictures of nature, fewer of them report having these negative feelings, and different brain regions associated with positive emotions are activated. 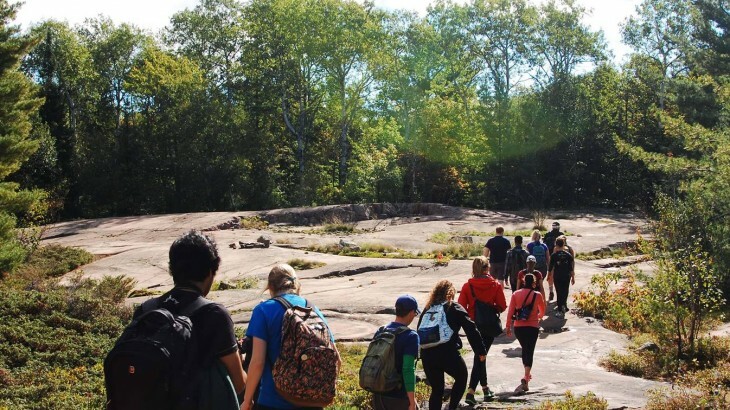 With such positive gains from nature, it’s no wonder that some doctors have begun prescribing “nature walks” to their patients, and others have promoted the use of “wilderness therapy” for at-risk adolescents. This is one treatment with no side effects, and the potential for huge benefits. Students from Laurentian University’s School of the Environment taking a hike at Killarney Provincial Park. Photo credit: Catherine Lau. Although we are only now learning about the neuroscience behind the benefits nature provides us, we all know how good it feels to be outside. Spending time outdoors encourages us to take care of our environment, our physical health, and our mental health—there is no downside to being outside…as long as you wear your sunblock! If you still don’t believe us, have a look at these beautiful pictures taken by our friends over at Land Lines. We’re feeling calmer already! 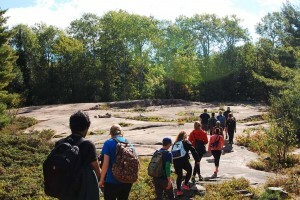 Biology and Life Sciences, Special Dates & Events April 22, Catherine Lau, Earth Day, Joelle Thorpe, mental health, nature, neuroscience, outdoors, physical health, relaxation. permalink.